This is a rich, replenishing night cream that helps to counteract dryness, dull skin and fine lines. Works during the skin’s natural renewal phase overnight to protect against visible signs of ageing and to reveal a healthy, natural glow. With use, skin feels soft and supple. Water (Aqua), Prunus Persica (Peach) Kernel Oil, Prunus Amygdalus Dulcis (Sweet Almond) Oil, Alcohol, Lanolin, Glyceryl Stearate SE, Beeswax (Cera Flava), Olea Europaea (Olive) Fruit Oil, Rosa Moschata Seed Oil, Oenothera Biennis (Evening Primrose) Oil, Sedum Purpureum Extract, Equisetum Arvense Extract, Commiphora Myrrha Extract, Xanthan Gum, Fragrance (Parfum)*, Limonene*, Linalool*, Citronellol*, Benzyl Alcohol*, Geraniol*, Citral*, Eugenol*, Farnesol*. *from natural essential oils. 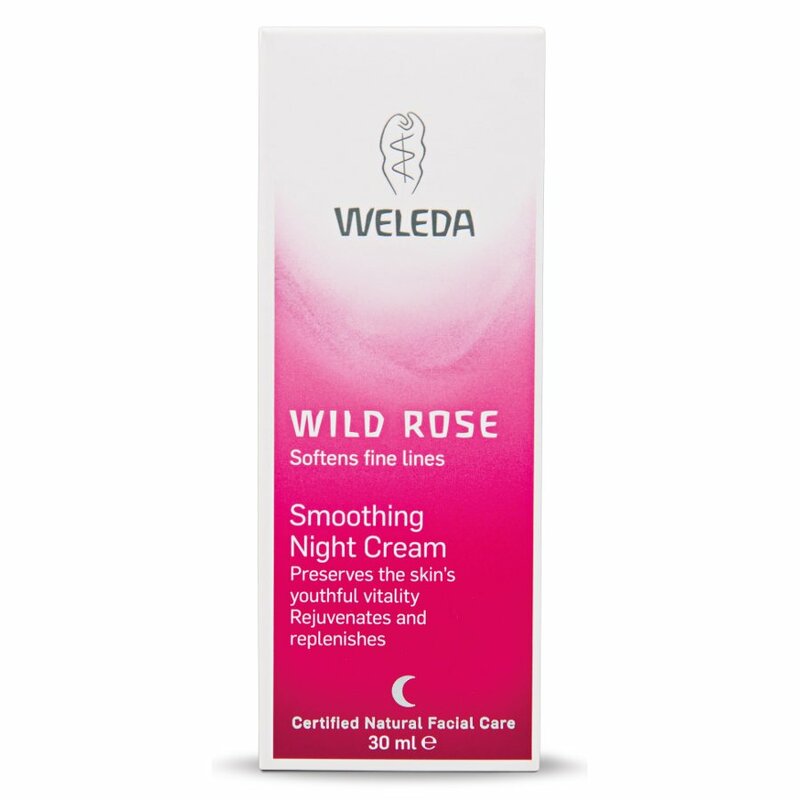 The Weleda Smoothing Night Cream Moisturiser - Wild Rose - 30ml product ethics are indicated below. To learn more about these product ethics and to see related products, follow the links below. Excellent, bit pricey but have allergy problems and this works for me. Write a review Write your own review of this product, and get 10 Reward Points for each approved submission. 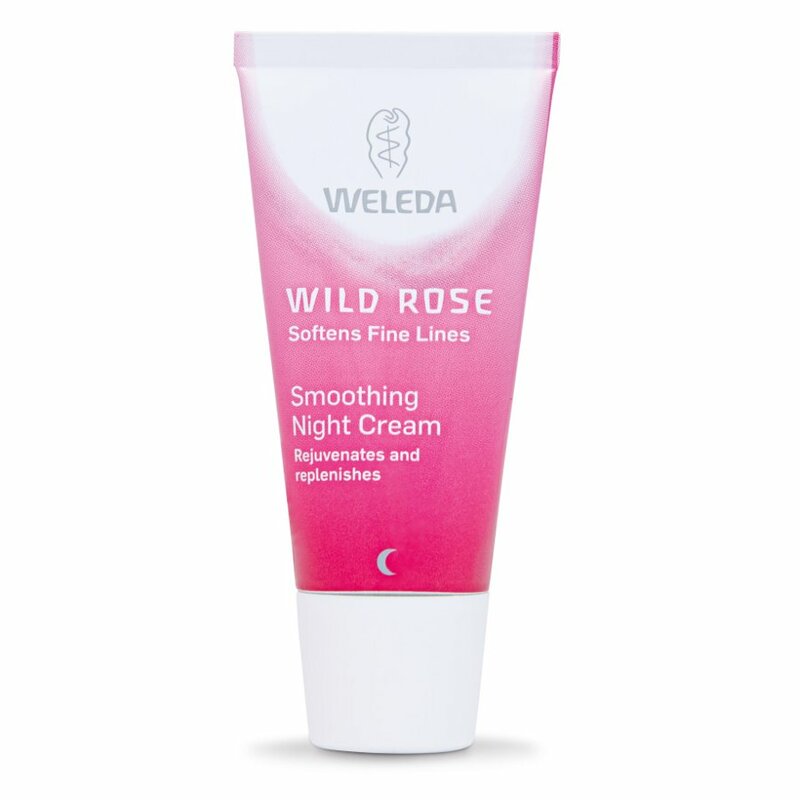 There are currently no questions to display about Weleda Smoothing Night Cream Moisturiser - Wild Rose - 30ml. 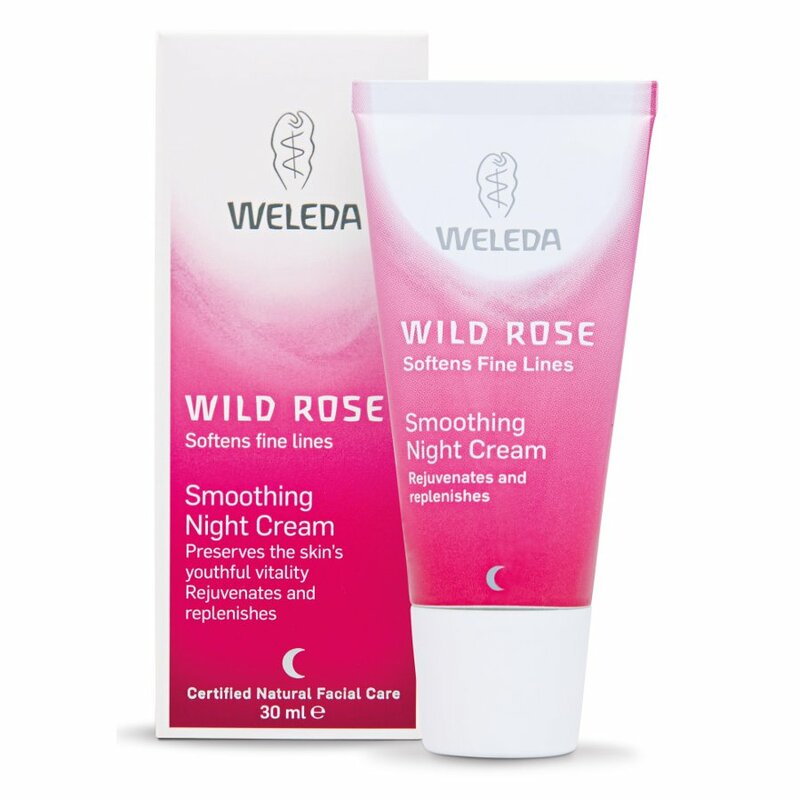 Weleda produce natural, organic and cruelty-free body and skin care products to support, maintain and restore our health. As a company, it began in 1921 and is now the world-leading manufacturer of holistic natural cosmetics and pharmaceuticals for anthroposophical therapy. 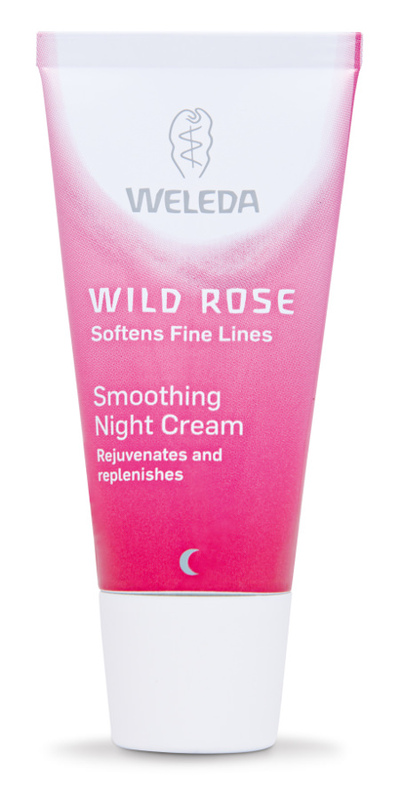 All Weleda products are made entirely from natural substances, they avoid artificial preservatives completely. Weleda business practices are environmentally sustainable, from the acquisition of naturally grown raw materials, to their packaging, processing and selling. The Weleda product range contains biodynamic and organic ingredients, no parabens, and is suitable for vegetarians.